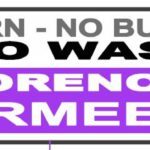 The Zero Wasters in the UK are celebrating their 5th year of Zero Waste weeks in which many Brits pledge to improve their recycling skills and renew their commitment for a world without waste. So far this this is a solely UK initiative but it would be great to have it in other EU countries. If you are interested in running these kinds of actions elsewhere in Europe contact us and we can help you coordinate! 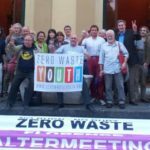 For the moment feel free to join the initiative from our friends from the UK, happy Zero Waste week! National Zero Waste Week takes place week beginning 3rd September 2012. This year’s theme is ‘One More Thing‘ which reminds us that the collective impact of taking baby steps can add up to significant change. This year we’re focusing on improving our recycling habits because if every household in the UK recycled ‘one more thing’, the total amount collected for recycling could increase by more than three quarters of a million tonnes. So decide on your activity and leave a comment below telling us what you pledge to do, then come back during National Zero Waste Week and let us know how you are getting on. Be sure to bookmark this page! If you have a blog or webpage, please help spread the word by writing about National Zero Waste week – you can grab one of our images below! If you’re on twitter or facebook, encourage your friends and family to join in too. What can I pledge to do? Keep us updated in the comments section below – let us know what you are doing to improve your your recycling habits and how your actions are inspiring others!